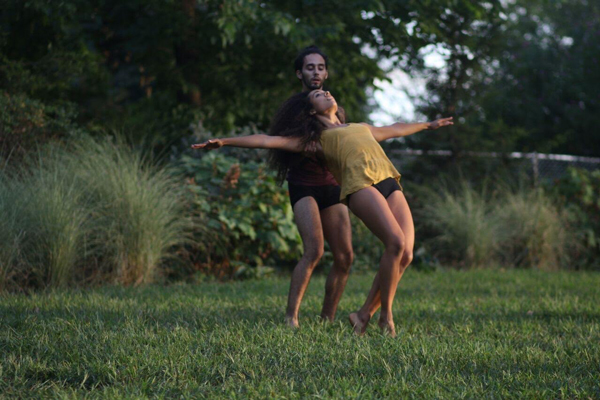 Dance Mogul Magazine speaks with Artistic Director of the ZEST COLLECTIVE Gentry Isaiah George and his company’s new installation performance in Inwood NYC. DMM: Tell us more about ZEST’s recent performance at Bruce Reynolds’ Memorial Garden. Gentry: ZEST’s Saturday Performance Series at Bruce’s Garden is a part of a new arts and culture initiative for the Inwood community led by Aaron Scott. The public garden inside Isham Park honors the memory of Bruce Reynolds (1960-2001), a Port Authority Police Officer, who on the morning of September 11th, 2001, rushed from his post at the George Washington Bridge into the inferno of the World Trade Center, sacrificing his life to save others. ZEST is the first and only dance company in Inwood / Washington Heights NYC. I am thankful to have successfully partnered with local residents that promote collaborative projects in efforts to revitalize the cultural life in our neighborhood. DMM: How did you get the opportunity to present work at Bruce’s Garden? Gentry: Some time last year I was visiting the garden and I ran into my former classmate Rachelle Scott. She was alongside her father Aaron Scott who maintains the garden. I told him I had been visiting the abandoned building next to the garden and more about my dreams of one day purchasing the building to give ZEST a home. Excited, he mentioned that he was going to begin hosting events inside the garden and invited ZEST to perform. The rest is beautifully becoming. 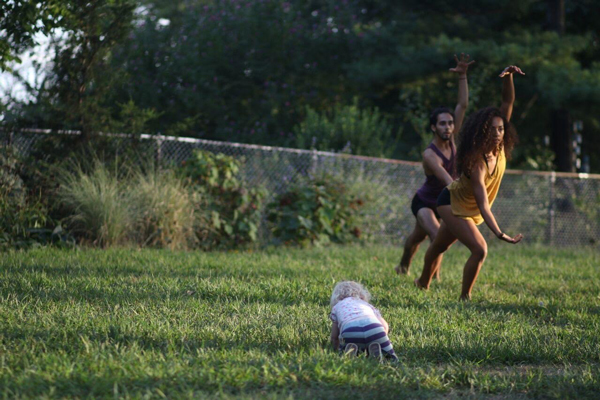 DMM interviews Inwood resident Aaron Scott who created the performance series at Bruce’s Garden. DMM: What did you present? Gentry: ZEST performed at the garden two times this year – July 25th and September 26th. We presented selected repertoire as well as two world premieres: Inferno, and Sketches 1-7. Founding member Jesse Obremski presented a solo work entitled Reputation. Emma Fitzsimmons and Mariusz Kujawski presented their duet How To Fly: Module 2. DMM interviews newlywed company members Emma Fitzsimmons and Mariusz Kujawski. Learn more about their new creation How To Fly: Module 2. DMM: Tell us a memorable moment from the performance series? Gentry: The entire experience felt like stepping into a dream and I am extremely fortunate. 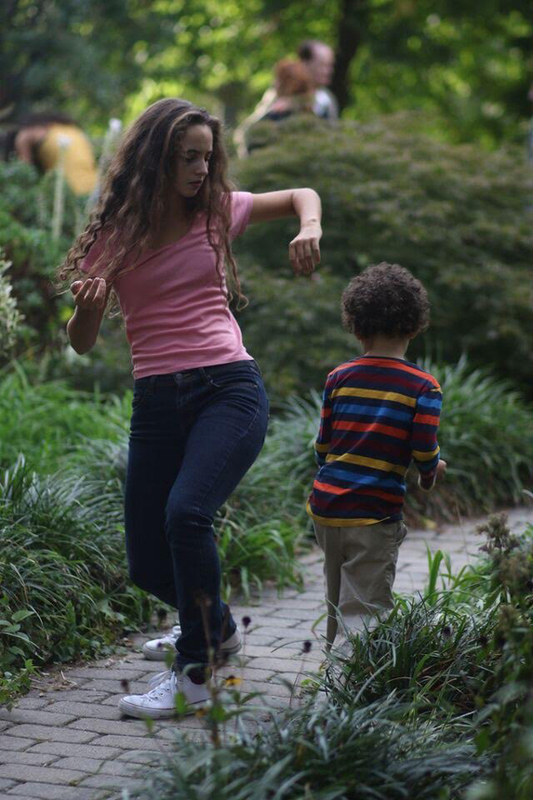 Collaborating with the Dance Artists and configuring them throughout the park was a great deal of fun. 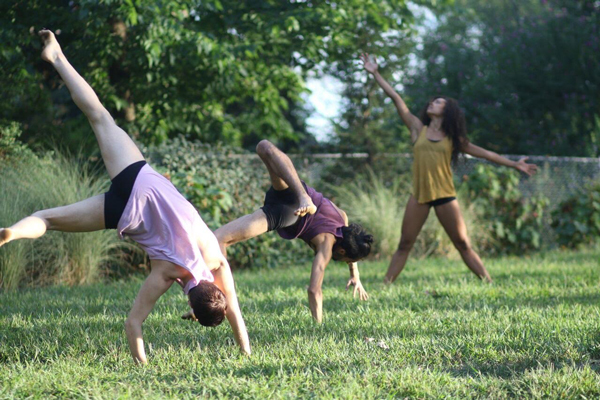 The weather was perfect for both performances and the dancers presented beautiful work. Among a number of other exciting factors, including the garden itself, the park’s morning brunch and after-performance receptions, I was extremely happy I was able to provide free public programming for the community. People of all ages and cultural backgrounds came to share in our creative procedures and I looking forward to sharing so much more. DMM interviews new company members Maëva Boldron and Christopher Baptistsa. DMM: What’s next for ZEST? 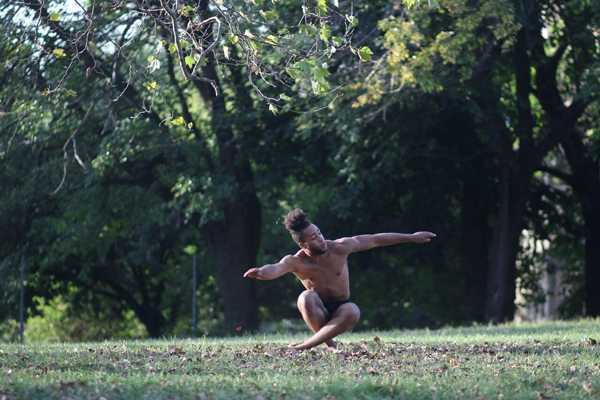 Gentry: On November 14th, the Bronx Academy of Arts and Dance (BAAD) will be presenting IN OUR SKIN – a fresh, daring evening of dance and performance by young male artists embracing their bodies and rejecting fear. ZEST will premiere several new works in a program featuring choreographers Jonathan Gonzalez, Alvaro Gonzalez Dupuy, and Benjamin Lundberg.